ASHEVILLE, N.C.— The Center for Biological Diversity and Dogwood Alliance will host an event on Sunday to celebrate the latest installment in the Center's national endangered species mural project and the final piece in the Gateway Mural series marking the entrance into downtown Asheville below Interstate 240. The Carolina northern flying squirrel mural at Merrimon and Lexington avenues will be 90 feet long and 20 feet tall and is being painted this week. The national endangered species mural project highlights imperiled species of special significance to their regions. The flying squirrel mural is being painted by Portland, Oregon artist Roger Peet and Asheville artist Tricia Tripp. What: Endangered Species Mural Project public celebration with music by honky-tonk band Hearts Gone South. Artists Roger Peet and Tricia Tripp will be available for interviews at the site this week as they paint. The artists, Center scientist Tierra Curry and local conservation organization Dogwood Alliance will attend the mural celebration. When: Sunday, June 11, 2017 3 p.m. to 5 p.m.
Where: The underpass where Lexington Avenue crosses under Interstate 240 in downtown Asheville. The underpass is just north of Rosetta's Kitchen on the Merrimon Ave (W) side of the underpass. 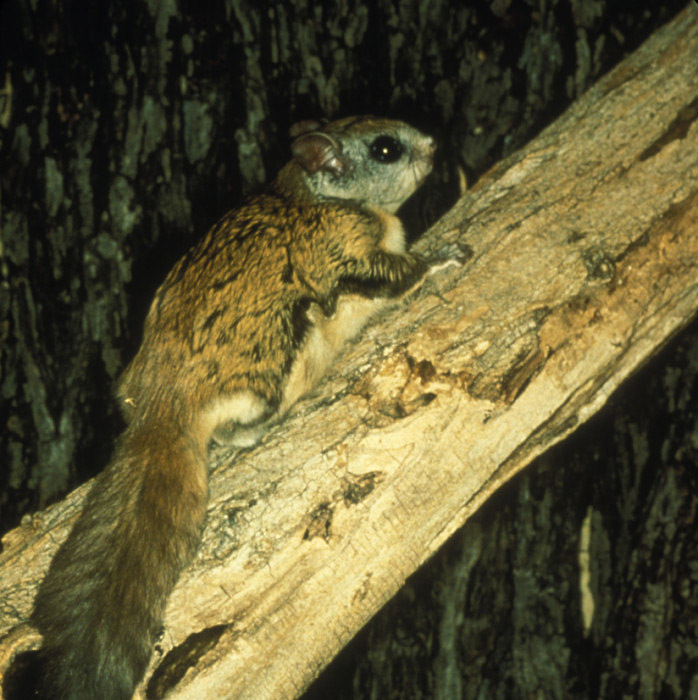 Carolina northern flying squirrels are secretive, nocturnal gliders found on mountain peaks in western North Carolina, eastern Tennessee and southwest Virginia. Named for the folds that stretch from their wrists to their ankles allowing them to “fly,” the squirrels are endangered because of threats to their high hardwood forest homes. The squirrels are survivors from the last Ice Age and prefer moist and cool conditions. They are tiny and social, often sharing nest cavities, and have flattened tails that make up 80 percent of their length. The Center's endangered species mural project has installed 12 murals in public spaces around the country. Regional murals already in place include a watercress darter in Birmingham, Ala.; a pink mucket pearly mussel in Knoxville, Tenn.; and a white fringeless orchid in Berea, Ky.
“The endangered species mural project brings together art, science and conservation to foster connections between human communities and imperiled wildlife, so we hope this mural inspires people to learn more about saving local endangered species,” said Tierra Curry, a scientist at the Center. Northern flying squirrel photo courtesy USWFS. This image is available for media use.